Valentine’s Day makes me think of love, flowers, and, of course, chocolate! I love chocolate covered strawberries, but always have to give my recipes a bit of a twist. These gorgeous Chai Chocolate Covered Strawberries are even more seductive with the deep, rich flavors of black tea, ginger, and cardamom. The perfect Valentine’s Day treat for you and anyone you choose to share them with! When I was a junior in college, my boyfriend, at the time, broke up with me 2 days before Valentine’s Day. I was heartbroken, but we had made these reservations for a fancy tapas restaurant and they were going to charge us $80 if we didn’t show up since we had just missed the 48-hour cancellation window. He suggested we go on this Valentine’s Day date as “friends” and, for some strange reason, I agreed to this. Needless to say, this did not go well. It was so incredibly uncomfortable, especially when the waitress told us we were a “cute couple”. He did spring for the lobster though, so there’s that. This example is slightly less “fun” than the previous one, but all the same, it was definitely an awkward situation. In elementary school, I gave my crush a snickers bar for Valentine’s Day, which he promptly ate and agreed to be my “boyfriend”. Turns out, he was mildly allergic to nuts and had to be sent home. Not cute. Everything turned out okay though and he still wanted to be my boyfriend even after my well-intentioned candy bar had almost poisoned him. Yipee! Nice kid—I wonder what ever happened to him. So there we have it, my top 3 most awkward, strangest Valentine’s Days. What do we think folks? Anyone else have any unusual Valentine’s Day experiences to share or is this just a me thing? 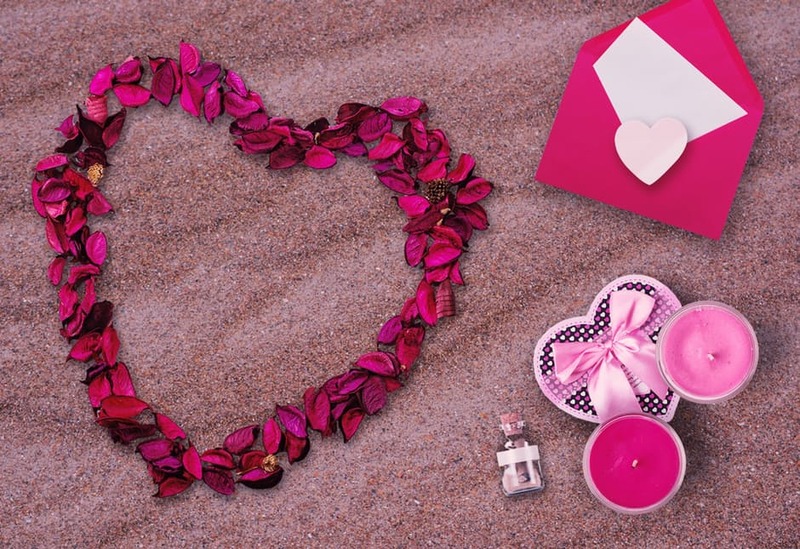 It’s probably just a me thing, but if you have any fun Valentine’s Day stories you want to share period, drop a comment below! Thankfully all this nonsense is in the past now and I’ve found the most amazing guy to spend every Valentine’s Day with for the rest of eternity. Sadly though, Mateo and I are long distance at the moment, so we won’t be spending Valentine’s Day together this year. It’s definitely hard being apart, but the fun part is being able to send each other little surprise gifts! Since I love to cook, I usually make my gifts. This year I’ve made one of my favorites, Chai Chocolate Covered Strawberries. Mateo is a huge chocolate fan and I love the exotic flavors of chai tea. Together, this dessert is the perfect blend of the two of us! Now pretty much everyone has had regular chocolate covered strawberries, right? But, how many of you have had CHAI Chocolate Covered Strawberries? Guys, these things are so ridiculously good, you won’t even want to share them with your Valentine. They may look like regular chocolate strawberries, but as soon as you bite into them, WOW. Flavor explosion. The warm, slightly spicy flavors of chai tea give the chocolate such an amazing complexity and depth of flavor—you’ll have to taste them to believe it! A sweet and juicy strawberry covered in rich, flavorful chai-infused chocolate and dipped in fun, heart-shaped sprinkles that deliver a nice crunch? Hello? Is your mouth watering yet? Mine, definitely is, and I just ate four of these strawberries less than an hour ago. This recipe is super easy to make too! The trick to getting those deep flavors is to steep the chai tea bags in heavy cream. I used Tazo Organic Chai because I love the high quality of the actual tea in their tea bags. Now, if you’ve read my Vegan Black Sesame Avocado Mousse post, you know that I’m supposed to be cutting down on dairy. Valentine’s Day is definitely an exception to that because the heavy cream gives the chocolate a fantastic creaminess that’s really necessary to make these strawberries super luscious. I pour the hot chai cream over the chocolate chips, let it sit for a few minutes, and mix it all together creating a thick sort-of ganache. 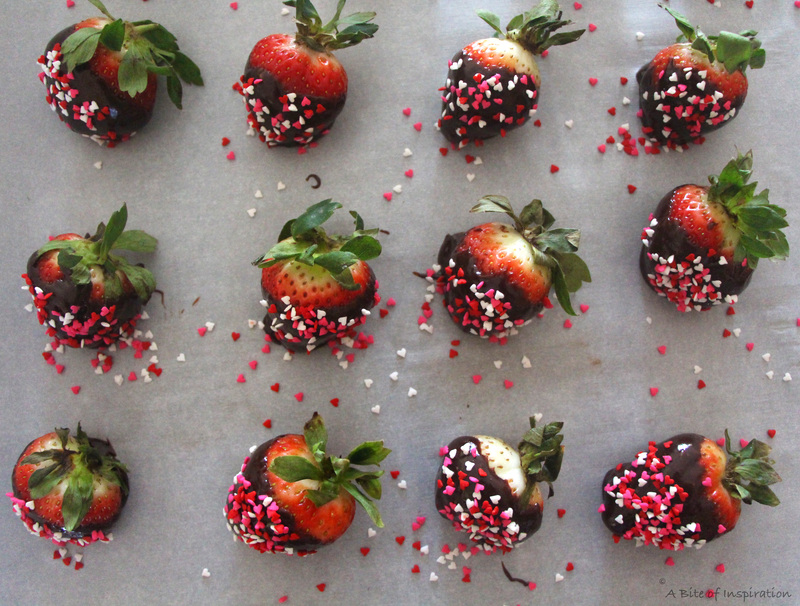 I dip each strawberry in the chocolate and then immediately dip it in the heart shaped sprinkles. I had a lot of trouble finding the heart shaped sprinkles at my local grocery store, so I bought them on Amazon. You can get the same ones I used, right here . Delicious! Now, I just have to figure out how to send fresh strawberries across state lines, so I can share these delicious treats with Mateo. Or, maybe, I’ll just skip sending them and keep them all to myself? At least, I can tell him he inspired the recipe right? 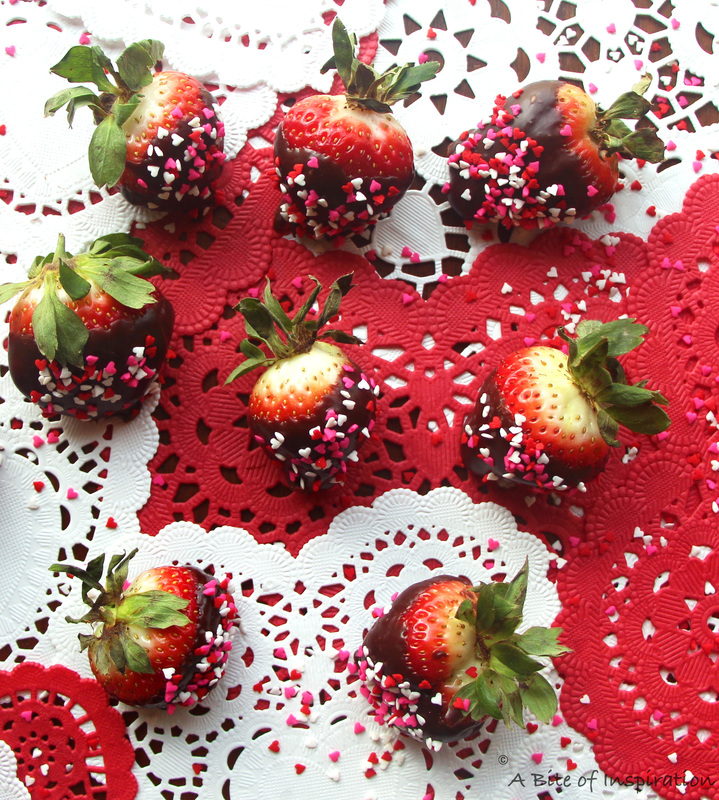 Well, anyway, while I go solve this pressing dilemma, go make these delicious strawberries to share to with the one YOU love (or to not share…) Happy Valentine’s Day! Add heavy cream and tea bags into a medium saucepan. Warm on medium-low heat for about 7-9 minutes, stirring occasionally. The cream should be hot and slightly bubbly, but NOT boiling. Add the chocolate chips to a large heat-safe bowl. 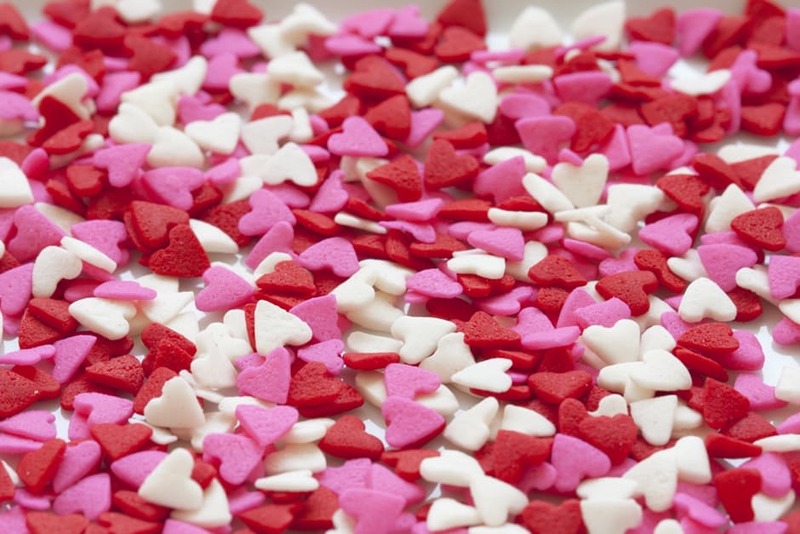 Put the heart sprinkles in a bowl, where they can easily accessed. Strain the hot cream over the chocolate chips. Let sit for 3-4 minutes then stir well until chocolate and cream are uniform. Holding one strawberry firmly by its top, dip it into the chocolate until it is about ¾ covered in chocolate. Remove and continue to hold the strawberry over the chocolate bowl with one hand. With the other hand, sprinkle a few of the heart sprinkles onto the strawberry, turning the strawberry gently around until all sides are covered in sprinkles. Refrigerate for 45 minutes. Enjoy! Please remove the paper tags from the top of the tea bags before adding them to the cream, so the color on the paper doesn't run into the cream. The only things from the tea bags going into the cream should be the tea bag and the string attached to it. These look sensational! I don’t have a date on Valentine’s Day, so I think I’ll treat myself to these. I loved the awkward date stories too, but I’m happy you found your Prince Charming! I love chai tea, and the spices would go awesome with chocolate, so I have to give these a try. I’ve had my fair share of awkward Valentine’s Days, too, and glad those are behind me now 🙂 We have the most beautiful strawberries here in SoCal, so this is definitely going on my list! Thank you so much, Alison! So glad the awkward Valentine’s Days are behind me too, although they are fun to look back on… sort of 😉 If you have fresh, beautiful strawberries you definitely want to use them to make this recipe. The bigger and juicier those strawberries are, the better they’ll taste with the chocolate and chai. Thanks again! Awww thank you, Jamie! You are too sweet! These strawberries are guaranteed to turn any bad Valentine’s Day into a good one– trust me, I have first hand experience with this. 😉 They are seriously THAT good! Thanks for stopping by! Those are so awkward Valentine’s Day stories! I can’t say I’ve had any strange Valentine’s Day stories, but that could be because I have blocked it from my memory! ha ha! Those chai chocolate covered strawberries are so cute and the flavours sound so good together! I have been meaning to add tea to my cooking/baking and this looks like the perfect recipe to start with! Thank you so much, Marie! I love tea flavors, so I’m always experimenting with new ways to incorporate them into my recipes. It started with my Green Tea Cinnamon Syrup recipe (in the recipe index under “Breakfast”) and now these delicious strawberries. Definitely be on the lookout for more tea recipes coming in the future. Thanks for stopping by! 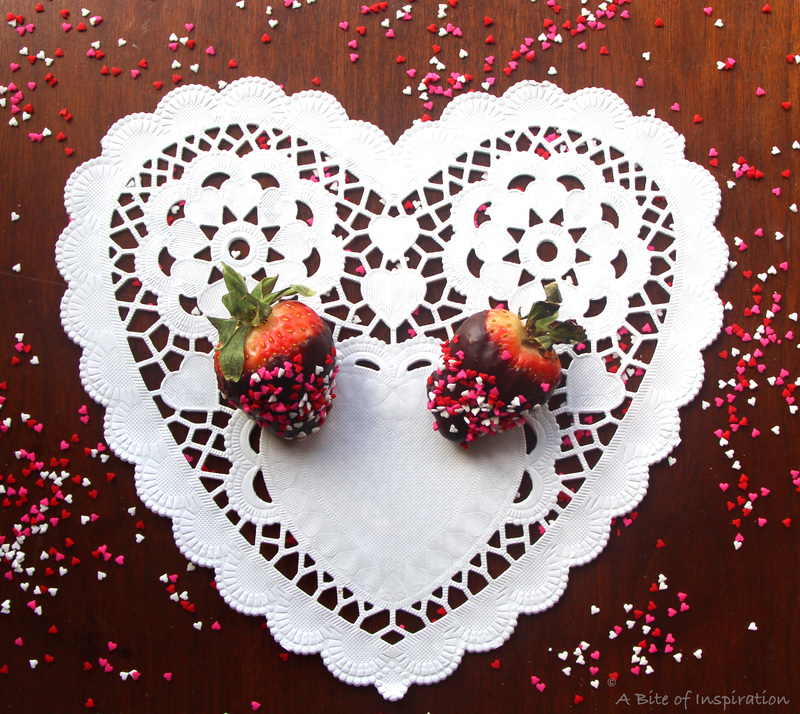 Wonderful idea incorporating new flavors like the chai into chocolate covered strawberries! These are definitely a classic, romantic treat, excited to try them with a twist! 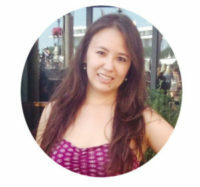 Totally agree– thanks girl! ❤️ Ironically, that guy actually introduced me to my fiance so it all worked out in the end. hahaha Thank you so much for stopping by, Hillary! Hahahaha. I LOVED your valentine’s day stories!! Especially giving some poor boy an allergic reactions. These strawberries look fantastic and chai is one of my favorite flavor profiles! Gotta try it! Thank you so much, Mikaela! I’m glad you enjoyed my stories. 🙂 Definitely give the strawberries a try if you love chai. Those spices really take the chocolate to a whole other level. Thanks for stopping by! Oh my gosh! What an elegant, beautiful recipe! I would have never thought to add Chai to chocolate. I’ll have to try it! Thank you so much, Riva! It’s a delicious flavor combination– definitely give it a try!